Chivers, Meredith L. and Brotto, Lori A. 2017. Controversies of Women’s Sexual Arousal and Desire. European Psychologist, Vol. 22, Issue. 1, p. 5. 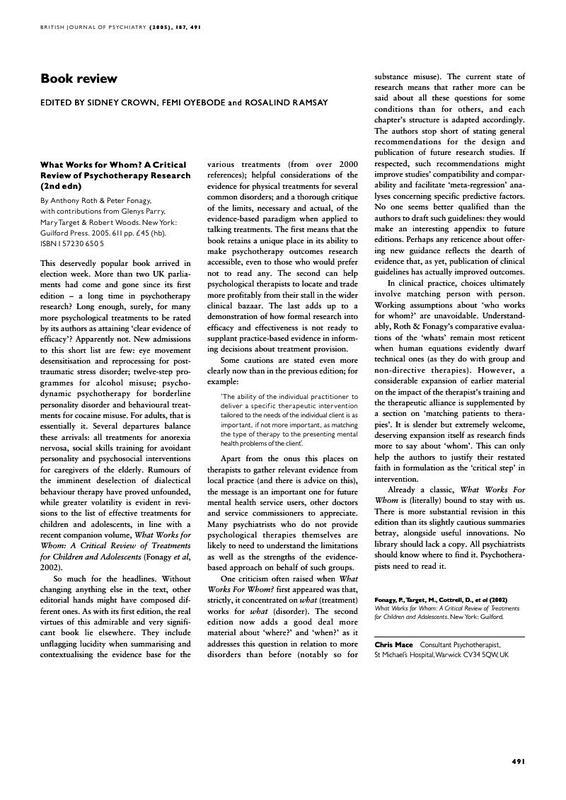 Fonagy, P., Target, M., Cottrell, D., et al (2002) What Works for Whom: A Critical Review of Treatments for Children and Adolescents. New York: Guilford.